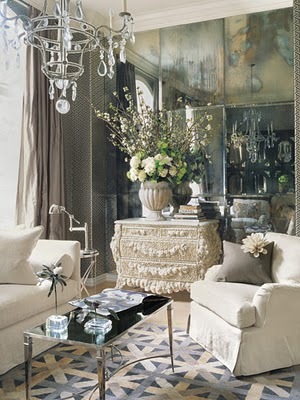 Nothing beats the classic look of antique glass. Contact us today and add some charm to your next project! 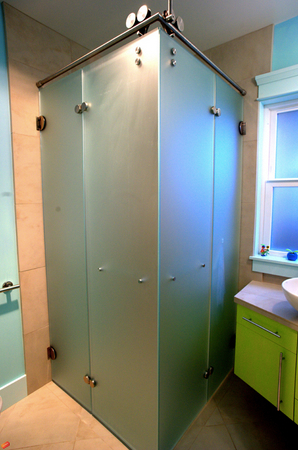 See our beautiful shower designs such as this glass-enclosed shower with custom painted glass and clear mirror. 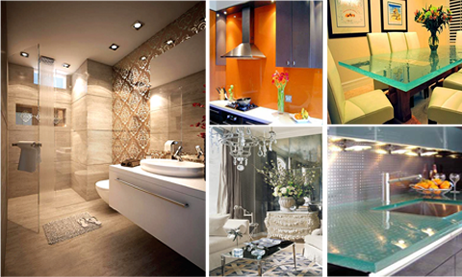 We can tailor your room to your specific tastes. Leave the design and expertise to us! 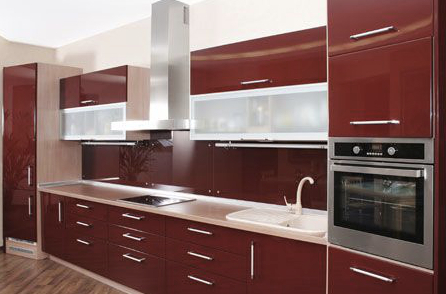 Colors, shapes and custom glass that will turn your design dreams into reality. 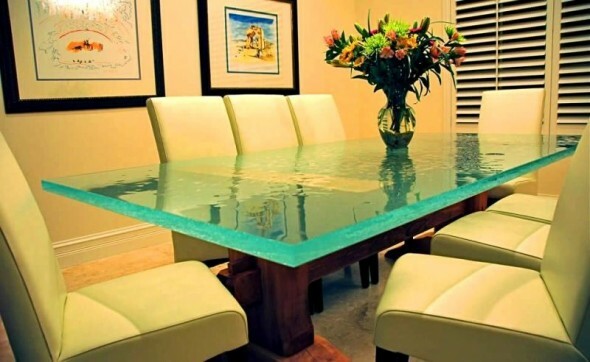 Whether you are looking to renovate your home, create a new office space, or enhance any type of environment, we will help you build it with glass. 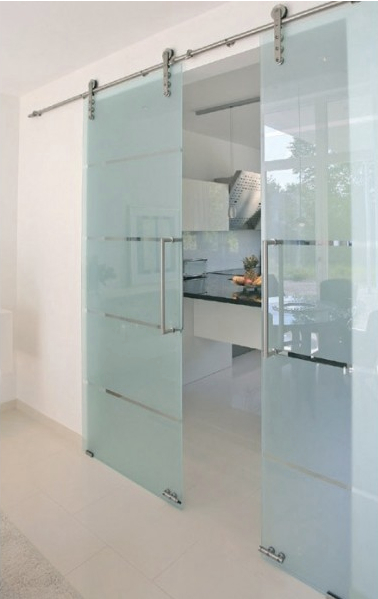 Allow us to show you and highlight the many, very aesthetically pleasing, creative and functional uses that glass has to offer. 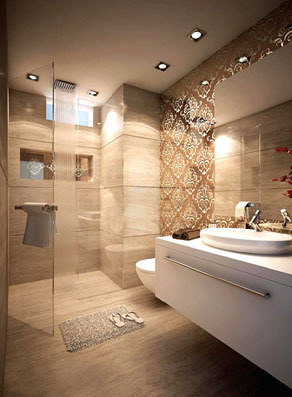 We know each project is unique in its own way, and our customer’s satisfaction is of the utmost importance to us. There is no problem too small that we will not address. We want to ensure that you have a very positive experience working with Glass Cafe. We are a family business that understands the construction process and will be there for you during our time on and off the job.